1. Pierce eggplants all over with fork or skewer. Place on tray lined with parchment paper. 2. 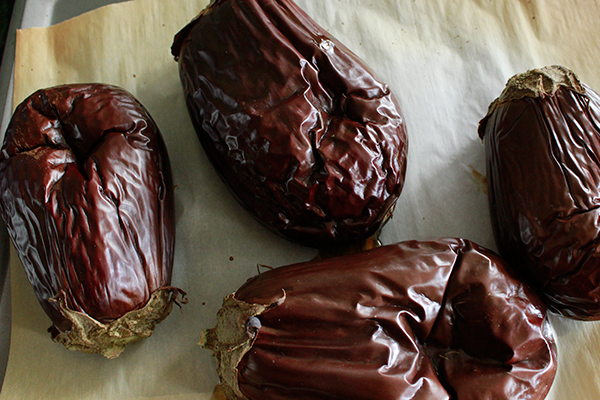 Bake uncovered in hot oven ~ 400F for about 45 - 60 minutes - until eggplants tested with a skewer and are soft. They look a bit 'orrible at this point - but you must press on! 3. 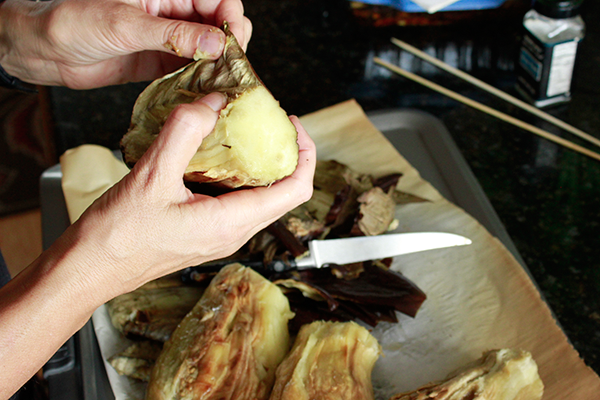 Peel eggplants. Discard skins. 3. Blend eggplants with remaining ingredients in food processor until smooth. 4. Serve with pita chips or use as a spread on toast or bread for a great starter for a salad sandwich! 5. Tip: make a double lot and freeze half. Mixture maintains flavor really well in the freezer. Just defrost and serve!